03 Nights Accommodations @ 3 Star rated Hotel & 02 Nights on Volvo. Pick & Drop from Volvo Bus stand. One Candle Light Dinner during stay. One day sightseeing Kullu Manikaran. 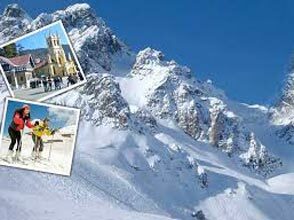 One day Rohtang Pass Valley & Sollang Valley. Private Vehicle for transfers & Sightseeing. Below 05 Year Child complementary with parents. Arrive in Delhi by Air or Train. After reaching in Delhi go to RK Ashram metro station, At gate no.-3, ( on your own) at 5:00 pm. Overnight Journey by Volvo, Soulful Manali offers something special for everyone.It gives peace for mediators, inspiration to Artists,Daring Activities for Adventure Seekers etc. 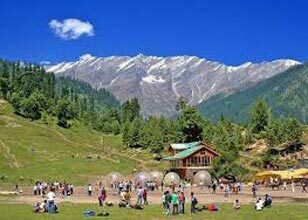 On the way to Manali you experience the cool breeze of Manali already taking all your stress away, soothing you from calmness in the environment and surprising you by presenting its jaw- downed landscapes. Overall It an excellent place for holiday. 1. Hadimba Devi Temple:- It chief central of interest in Manali , dedicated to the goddess Hadimba ,the Wife of Bheema of Mahabharata Fame, This is wooden temple, In the dense forest of magnificent deodar, is about 2.5 Kms from the Mall. It is a pleasant stroll to the temple which was built in 1553 A.D.
2. Vashisht(3.5 kms from Mall) :- Hot Sulphur Water springs-which is widely believed as an effective skin diseases healer and posses various medical properties . Nearby it , is the pyramidal stone temple dedicated to vashisht Muni & lord Rama temple. 4. Club House (2 Kms from Mall) :- Club house is famous for a amusement activities like skating, Disco Theque, auditorium etc..
Later in the evening free to explore the Shopping Malls (Mall Road & IBEX Market) of Manali. 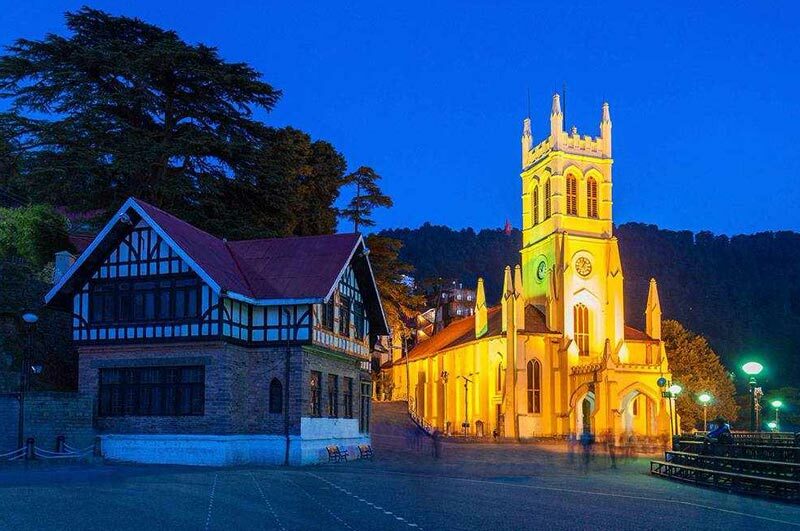 Enjoy the Morning breakfast & get Ready for an excursion to visit place for Kullu Vashnu Devi Temple & Manikaran Sightseeing Drive back to Manali. Check in at the Hotel in Manali. Overnight stay at Manali Hotel. Morning enjoy the breakfast and check out from the hotel at 12 noon (Luggage can be kept at reception or bell desk. 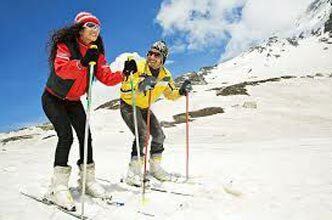 Afternoon enjoys at leisure or can take stroll down the mall in Manali and enjoy shopping antiques, shawls and handicrafts. Evening catch the Volvo from Manali at 4.00 PM to precede Delhi. Overnight Journey. 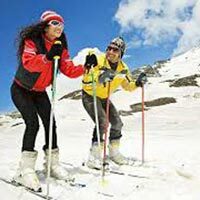 Shimla - Manali - Amritsar 6n/7d Tour Pack..